The American Star Awards represent the best among thousands of American FFA Degree recipients. Finalists for the awards have perfected the skills in production, finance, management and/or research. After a very tiring and long judging process, the National FFA Organization has released the finalists. These candidates will report to the 89th National FFA Convention & Expo in October in Indianapolis, Ind. for further evaluation. One FFA member from each group will be named the 2016 Star in their respective category. 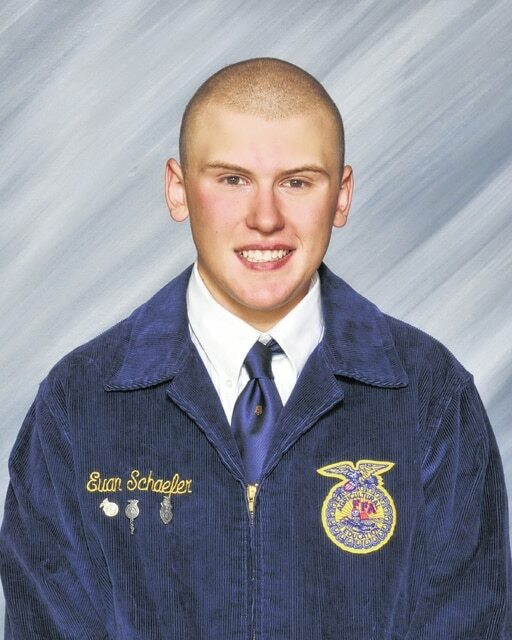 Evan Schaefer, a member of the Miami Trace/Great Oaks FFA Chapter and 2014 graduate, has been named a finalist for the American Star Farmer Award. This award is given to the member with the top production agricultural SAE program each year. There are four finalists that make it to the National level, and this is by far the highest recognition for a young, driven production agriculturalist. After starting his SAE on 7.2 acres that was located on the family farm, Evan was able to grow his operation in 2015 to 695 total acres of diversified crop production. The new acreage is equally divided into corn and soybeans. This allows him to experiment with new farming practices and remain innovative on the latest research and technology. As part of this award, Evan was filmed at his farm, showcasing his SAE project and all he has accomplished, and is currently working to accomplish. Evan is looking forward to expanding his operation in the future, being supported by his parents, Tim and Mary Jo Schaefer, and FFA advisors, Bruce Bennett, Wendi Mizer-Stachler, and Amanda Swigert. This honor is one of many accolades Evan has accomplished through his years in the FFA organization and Evan serves as a positive role model to all Miami Trace/Great Oaks FFA members. The American Star Awards are proudly sponsored by ADM Crop Risk Services, Case IH, Elanco, Farm Credit and Syngenta.